Standing inside the sculptor’s studio at Mount Rushmore National Memorial, Lou Del Bianco looked out at the faces his grandfather helped carve more than 70 years ago and lost it. 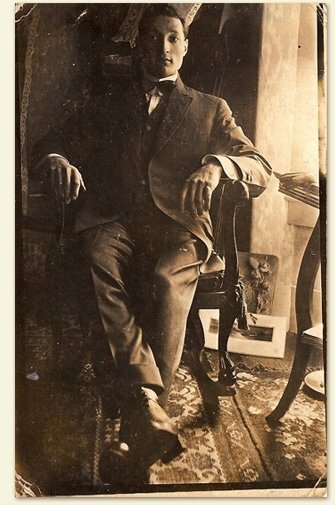 Del Bianco’s grandfather Luigi Del Bianco was chief carver of Mount Rushmore from 1933 to 1940. The grandson was at Mount Rushmore on Sunday telling the story of how his grandfather helped mold the mountain into the memorial it is today. This was the first time Lou Del Bianco, who is an actor, singer and storyteller from New York, had ever done this most personal show. 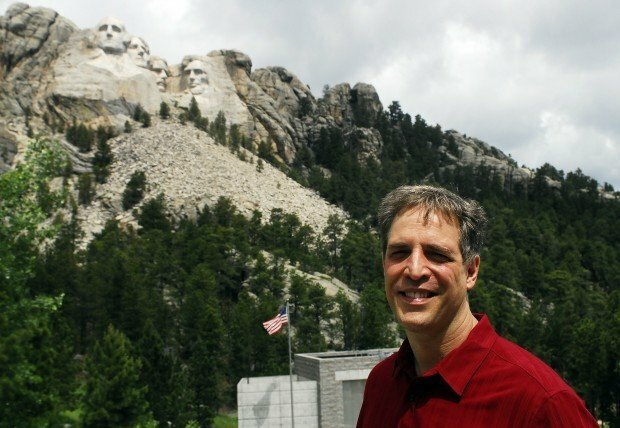 Blaine Kortemeyer, deputy director of interpretation and education at Mount Rushmore, said Del Bianco was invited due to his unique perspective on the workers who helped carve Mount Rushmore. Del Bianco said his grandfather was introduced to Gutzon Borglum, the creator of Mount Rushmore, in 1920, and the two had an immediate mutual respect. In his time as chief carver of the mountain, Luigi carved Abraham Lincoln’s eyes and “saved Jefferson’s face” by patching a crack in the president’s lip, Del Bianco said. In the “Borglum Papers” from the Library of Congress, Borglum wrote that Luigi was “worth more than any three men in America” for his work on the mountain, according to Del Bianco. “It’s kind of like talking about the Yankees and not talking about Derek Jeter or Joe DiMaggio,” he said. “And I’m happy to say after 23 years, Mount Rushmore is embracing this story,” he said. Del Bianco said he is grateful he was invited to share his grandfather’s Mount Rushmore story this year. Now, he feels his grandfather is starting to get the recognition he deserves. “And I have Mount Rushmore to thank for it, they’ve been great,” he said. Del Bianco said his next goal is to have a permanent interactive exhibit about his grandfather at Mount Rushmore. “So that the millions of people that come here will finally know about this Italian immigrant who helped carve this American icon,” he said. Taken to Austria at age 11 to study under a skilled stone carver.